When the Ottoman Empire entered the war in 1914, many in the Allied Powers saw opportunities for expansion. The British and French had long dreamt of expanding their empires into the Middle East and Russia desired control of Constantinople, which would provide secure access to the Black Sea and the Balkans. The Ottomans were an Empire that was in decline, having been wrought with internal strife for many years and having lost territory in 1912 and 1913 to Russia in the Balkan wars. 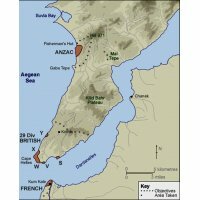 Description: A map of the Gallipoli landings. 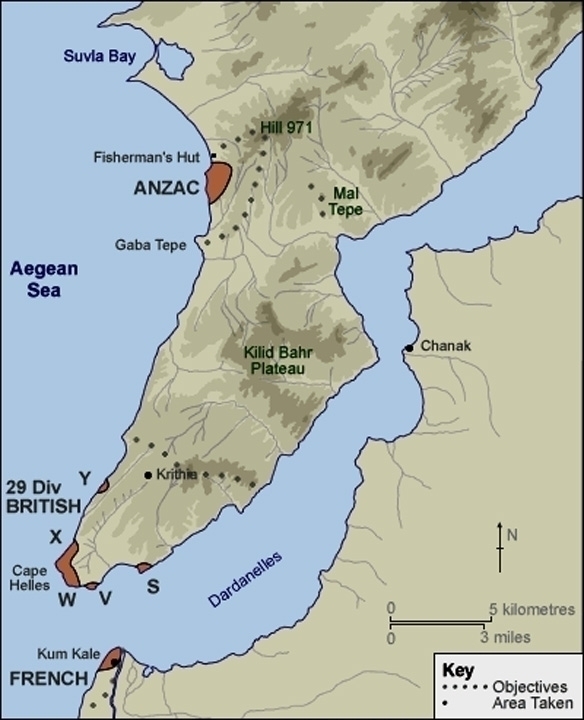 The British Forces attempted to gain a foothold on the Gallipoli Peninsula, but were met with heavy resistance. Despite this “weakness” however, the Ottomans would prove to be a formidable part of the Central Powers. The Ottomans were also buoyed by the partial command and support by German officers and soldiers, who were intent on opening a new front in the war to draw Allied soldiers away from the Eastern Front. Britain and France were determined to control the Dardanelles strait, the most prominent naval route to Russia. To do this, they would have to control a large portion of the Turkish mainland around the coastline. This plan led to the Gallipoli campaign, which resulted in the British forces being heavily rebuffed and forced to retreat the Suez Canal. The Ottomans, uplifted by their victory against the British, found a renewed strength and fervour in their military operations with the belief that they could themselves expand their ailing empire. This advantage would prove to be short lived. The Russians began a push through the Caucasus, capturing several major cities along the front but they soon found themselves at the end of a very long and tenuous supply chain, meaning that they could no longer advance. This coupled with Ottoman reinforcements meant that the front became stalemated and remained so until the end of the war. 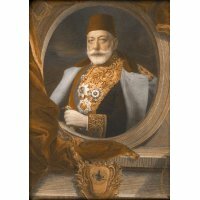 Description: Mehmed V was the reigning Sultan of the Ottoman Empire during the First World War. He died four months before the end of the war and was succeeded by his Brother, Mehmed VI. The Russian advance had been halted, but the question of the British was still left unanswered. The British had begun a push into Mesopotamia (Modern day Iraq) in 1914 and had taken the city of Basra and its oilfields. They then proceeded further into Mesopotamia and had remarkable success in forcing the ottomans out of Baghdad in 1917. On the other side of the Ottoman Empire in 1915, soldiers led by German officers had launched an attack on the Suez Canal, in an attempt to sever the link between India and Great Britain. British troops were well prepared however, and the attack was repelled with very few Allied casualties. After this, the British pursued the Ottomans into the Sinai Peninsula. The British found advancing into the desert very difficult due to the lack of supply routes, unfamiliar territory and unfavourable conditions, but they advanced far enough to prevent any further incursions on the Suez Canal. Eventually, British command focused on supporting the Arab Revolts, rather than attempting frontal assaults which helped further destabilise Ottoman rule of the region and forced more and more Ottoman troops to leave the frontlines. 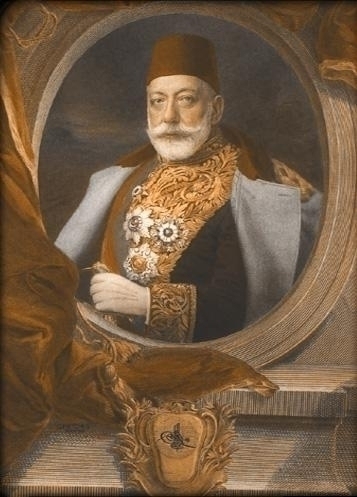 After the war ended, the Ottoman Empire fractured after severe political strife. Several groups demanded their independence and in 1922 an independent Turkey was created and the Ottoman Empire ceased to exist. The Arabs were taken under the wing of the British Empire despite the initial promise ofindependence. The British Empire had succeeded in its quest for oil.